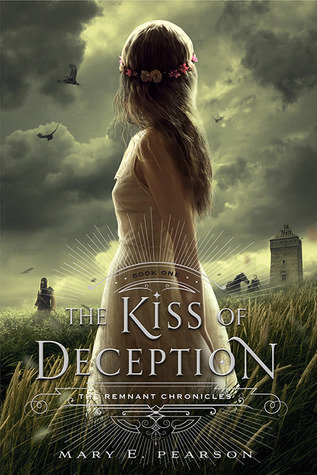 “The Kiss of Deception” by Mary E. Pearson is a story about a girl name Lia who is a princess. Rather than going along with the life her parents are planning out for her where she is being forced into a marriage with someone she doesn’t love, let alone know, so that their kingdoms can become allies, Lia decides to run away to a town a long way from her city. She wants to be able to make her own decisions in her life and lead it the way she wants, away from her parents and away from the gift of Sight that she supposedly is supposed to have. She wants to rebuild her life and start over as a new person, but things become more complicated when she learns a secret about the friend who came with her, and two boys a little older than her who seem to have taken an interest in her. Okay, so this book was awesome. 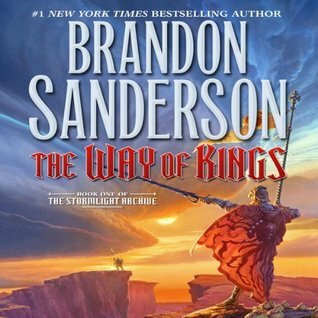 This was also my first audiobook that I got from Audible and I have to say that I made a good choice. There were four different narrators: one who was the “before chapter” reader, one for Lia, one for Kaden, and one for Rafe (there was even one for Pauline in there that was toward the end that made me go, “WHAT! ?” but in a good way). Each of the narrators did a really great job of giving each of the characters in the book their own voice. I mean, obviously each one had their own voices, but the narrators gave a feel for the character that they were betraying, allowing the personality of the character they were portraying to shine through their voices. They were all engaging, using accents when needed, different tones of voice, and they did well at speaking the Vendan words. Overall, I was highly impressed with this audiobook and recommend it if you’re in the market for one. Now let me talk about the actual book, plot, characters, etc. Lia was a great main character to play a princess. She wasn’t necessarily stuck up or snobby, but she could pull the “princess card” if she needed to, which she rarely did in this book. She acted very much like an average citizen and she wanted to prove her worth to everyone, including herself, that she could make it in the outside world. And she proves herself, indeed, taking on chores as a tavern maid and doing tasks that she otherwise never would have been required to do at the palace: washing dishes, cleaning messes, attending to unruly guests. Lia is a strong minded, strong willed, very ambitious girl and I really enjoyed her as a character. Throughout the book I felt as though she never really lost herself, she never really changed, and any change that did occur was because of the circumstances thrown at her. But the changes she went through helped to better her character, in my opinion, and made her a stronger female protagonist. Pauline, though a side character, was seen throughout most of the book (heck, she even has a chapter to herself!). She is Lia’s companion on the journey that they take from Morrighan to Terravin and though she is stuck in her ways as a servant for the beginning of their journey, she quickly loosens up and becomes the friend that Lia needs. But then something major arises in Pauline’s life that will forever change her. I thought Pauline’s character was sweet and endearing, and a great little relief on the side when she was around. Rafe is the prince of Dalbreck, the neighboring kingdom for which Lia was to be wed to, but when he goes in search of her after she disappears and finds her, her tells her that he’s a farmhand and is currently off duty from his work. With his build, tan, and worn hands the lie could be easily believed. He is intelligent and authoritative in his speech, and at first he hates Lia, but as he gets to know her more he starts to fall for her. I thought that Rafe was a good male protagonist. He had enough of a hard edge to him that continually reminded me that he was a prince (because aren’t all royals stuffy in their own way? ), but he also has a softer side that made him fit in with the crowd. Kaden is the assassin sent to kill Lia. He, too, found her in Terravin and claimed that he was a trader of sorts, which was believable given that he technically does “trade pelts” for a living. Anyway, his character was different from Rafe’s in that he was quick to use more wistful phrases and words, and he was much better at pretending than Rafe was. Frankly, I love Kaden the most out of all of these characters. Bad boys with a troubling past that we haven’t learned yet? Oh, yes please. He’s conflicted with his line of work, knowing that he owes his life to the man who gives out those kinds of orders, but his morals seem to be weighing on him and his past. I really hope to learn more about him in the second book when it comes out this July. Now as for the plot, at the beginning it was a little slow at times when Lia and Pauline were getting their bearings in Terravin, but I felt overall engaged throughout the novel. I definitely think that the second half picked up once the romance started to blossom between the characters, and more so when Lia is captured. I love love, though, so obviously the romantic parts were some of my favorites, but I loved the world building in this novel and how we got to see the rich and vivid details of the landscapes, the characters, and everything around the main characters. It really made the story take on a life of its own and made it believable. The plot itself may have been one that can be seen in many novels in many different ways, but I thought that the execution of it was well done and made this novel stand out from the others. I’m also rooting for a certain character to end up as her romantic partner, but we’ll see. I mean, there are two more books in this trilogy that have yet to come out. 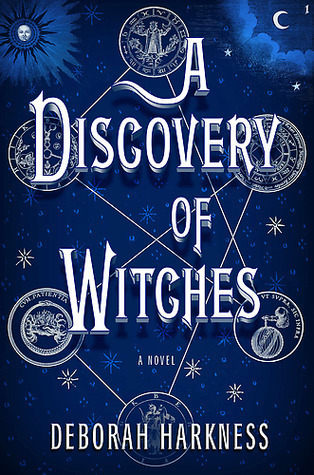 Overall, I recommend this book if you’re looking for a romance/adventure/fantasy type of read. The romance isn’t super heavy in this book, and there are more action scenes toward the end, but it’s definitely one riddled with vivid descriptions and a girl trying to find her place in the world – as well as who she is as a person.